Ashley Zukerman (The Wind), Fred Hechinger (Eighth Grade), Julia Rehwald (Panic) and Jeremy Ford (A Mother’s Sacrifice) have joined Kiana Madeira (Sacred Lies) and Olivia Welch (Modern Family) in Twentieth Century Fox’s Fear Street trilogy based on author R.L. Stine’s YA horror book series of the same name, according to The Hollywood Reporter. Leigh Janiak (Honeymoon) is set to pen and direct three scripts for Fear Street which will be shot back-to-back-to-back. The trilogy’s planned release dates are said to be close to each other. 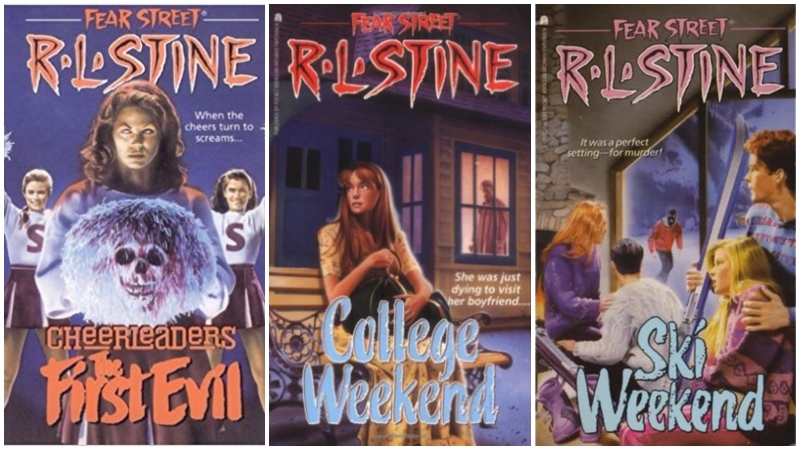 The first three books in the “Fear Street” series are “The New Girl,” “The Surprise Party” and “The Overnight,” though there is no word on which ones the three scripts are based on. Janiak is reportedly overseeing a writers room to coordinate the stories, which will take place in different time periods. Kyle Killen wrote the first, Zak Olkewicz wrote the second, and Silka Luisa is writing the third. Janiak and her partner Phil Graziadei will work on the first one. Chernin Entertainment (War for the Planet of the Apes) is on board to produce. The “Fear Street” series is a horror series for teenage readers that Stine began in 1989. He wrote “Ghost of Fear Street” beginning in 1995 for younger readers and stopped after doing the “Fear Street Seniors” spinoff in 1999. He came back to the series in 2005 with the three-part “Fear Street Nights” miniseries. He revived the series again in 2014. The books are set in the fictional town of Shadyside, Ohio and take place in the 1980s and 1990s. Some characters occasionally crossed over between books. There are 52 books in the main series alone. R.L. Stine is also known for his Goosebumps series of books, which became a film in 2015 starring Jack Black.